Aren't Summer weekends just the greatest? Something about the sunshine and long, lazy days makes me feel like a kid again. Here are some photos to inspire you in your weekend adventures, whether you're spending them oceanside or land-locked. 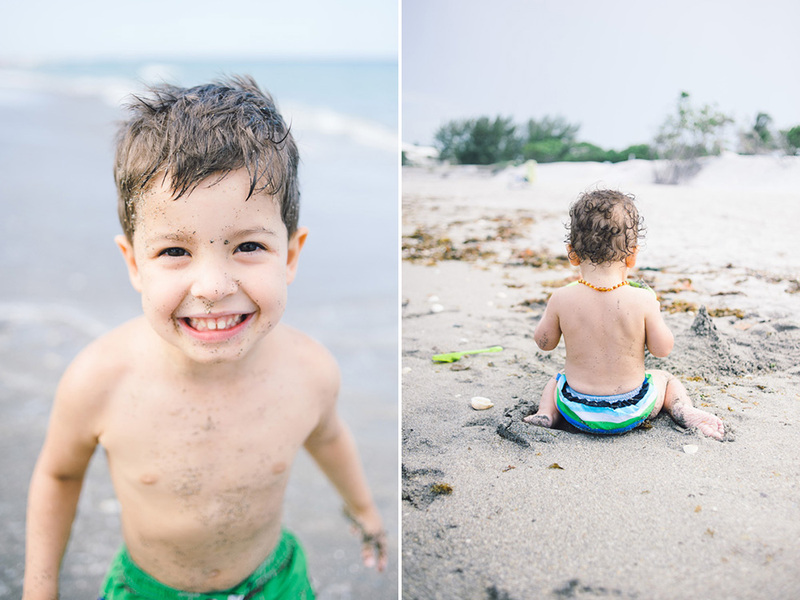 These are from a beach day last week while my aunt and her boys were visiting from Maryland. As you can see, my kids love to cover themselves in sand! I'm so excited that Oyuki and Paul's gorgeous wedding was featured last week on Style Me Pretty Florida, and also today in Floridian Weddings' Friday Fresh Squeeze! Brides, you must share this article on being a gracious bridesmaid with your girls. I love this fun, eclectic home that was featured on Design Sponge- so much character! This Entouriste feature on Kennebunkport reminded me of just how totally excited I am for my family's tript to the coast of Maine in September! The Best of Summer Awards from Dinner, A Love Story (which is an awesome cookbook/food memoir, by the way).